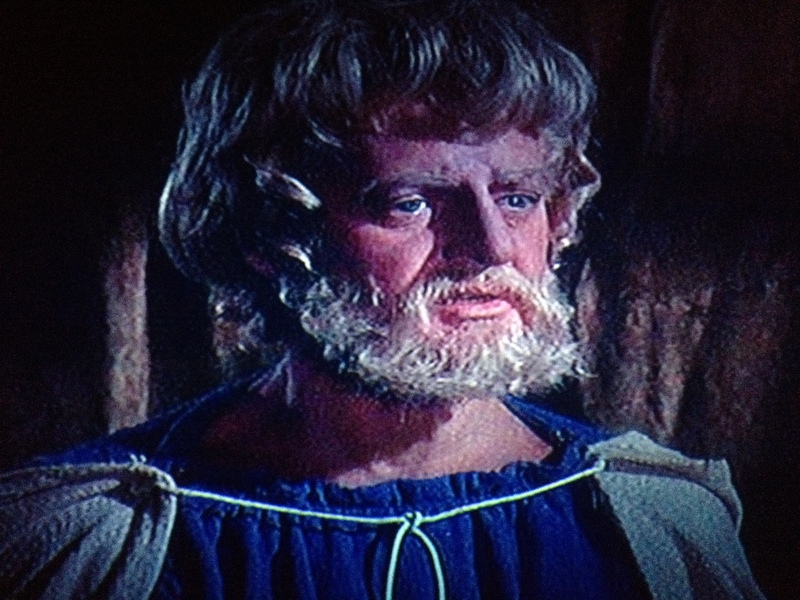 The 7 Faces of Dr. Lao (1964 MGM) is based on the Circus of Dr. Lao, a 1935 fantasy novel by Charles G. Finney. Dr. Lao (Tony Randall) is a Chinese philosophical acrobat, who will be 7322 years old this October–his speciality is wisdom. He can walk a tightrope if necessary, and does so repeatedly. This film is a tour-du-force performance by Randall, playing Dr. Lao as well as the various circus performers. The 1964 best actor Oscar winner was Rex Harrison as Professor Henry Higgins in My Fair Lady. Randall wasn’t even nominated. 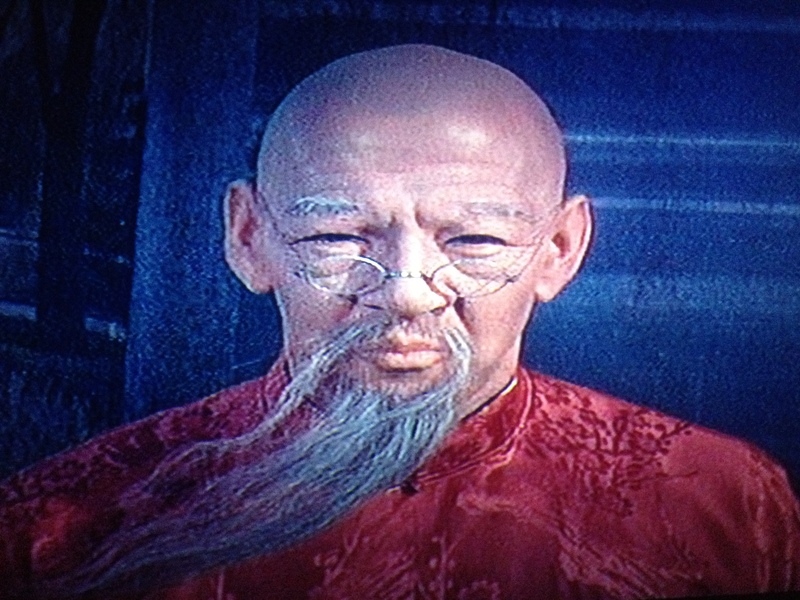 The 7 Faces of Dr. Lao won one Oscar for Makeup; it was an Honorary Award – the first film to receive this award. The makeup artist was William Tuttle. The mysterious Dr. Lao travels on a jackass carrying only himself & a fish bowl with a baby catfish. Dr. Lao visits the town newspaper to advertise his 2-day circus to be held at the edge of town. The conflict of the story starts with local tycoon Clinton Stark (Arthur O’Connell) pitching the townspeople the idea of their land being worthless. The cynically pragmatic Stark has inside information, and is ready to buy every home & building in Abalone, Arizona. Town librarian Angela Benedict (Barbara Eden) questions Stark on his specific reasons for buying “worthless” property. After mumbling a reply, her follow-up enquiry to Stark is shouted down by the befuddled, hateful, and intoxicated masses. A final vote is set for a few days. The entire town comes out to Dr. Lao’s Circus, which is acts a mirror for its attendees. Those seeking a fortune teller, receive the absolute truth from the sight-blind Apollonius of Tyana. The Greek gorgon Medusa is viewed in her mirrored reflection, as a direct gaze causes any mortal to turn to stone. Merlin, the greatest magician the world has ever known, is forgetful in his old age. He is mostly unappreciated & unnoticed, even when he restores life to a woman who is transformed into a statue through her obstinate defiance in looking at the Medusa. Jim Danforth’s model animation of the Loch Ness Monster, the Giant Serpent, and Medusa’s snake hair were also nominated for an Academy Award. These effects are 1960’s Godzilla/Gamera Japanimation equivalent. The special effects (though dated) work well enough, and their use is kept to a minimum by director George Pal, whose footage from earlier sci-fi films appears in Dr. Lao’s climactic “Woldercan” apocalypse sequence. This film has many beautiful lessons including; the power of love, music, sharing, and simply the marvel of our existence. Tony Randall moves in & out of characters brilliantly, showing off his Broadway acting talents in ways that simultaneously delight & amaze. Randall’s summary monologue, which is incomprehensible to the 8-year-old boy, is quoted by Joel Robinson (Joel Hodgeson) as he’s exiting the Satellite of Love in MST3K— leaving the series he created. Mystery Science Theater 3000 is famous for punning bad movies, but it is really much more. MST3K is about a deeper understanding of life, and part of that is saying “No!” to the garbage that Hollywood keeps trying to feed us. It is possibly the most brilliant & hilarious television show ever produced; running for ten seasons from 1989-99– mostly on the Comedy Channel. It is no longer syndicated due to copyright issues, but many of its episodes can be viewed here. The Circus of Dr. Lao as well as Mystery Science Theater 3000 are both classics which deserve to be experienced, as their universal themes remain relevant to all film-loving audiences. There is not much new to be said about John Lennon. Suffice it to say that for many, he was the greatest single figure in pop music history. Murdered at age 40, just as he was undergoing a renaissance of creativity that surely would have carried him through his middle age years with vitality and dignity, the loss of his art to humanity is incalculable. It’s no exaggeration to state that this sentiment is shared by millions. Go to YouTube; watch his videos & read the comments. People are still genuinely angry, hurt, and saddened over his death. No other musician who died prematurely, including giants like Otis Redding, Jim Morrison, Kurt Cobain, Jimi Hendrix and Charlie Parker; none of them have managed to stay in the mind of popular consciousness like the figure of John Lennon. Perhaps it is the fact that he was assassinated, while the others mentioned (except Redding) were, in some form, victims of a self-inflicted death. Lennon was always a leader and rebel genius. His ideas, lifestyle, and his music were perceived as dangerous to the ruling class. For years in the 1970’s he was under surveillance by the FBI as a subversive, and the US government attempted more than once to have his visa cancelled in order to deport him back to England. More than any other popular artist in my lifetime, Lennon was a political figure. “Imagine”, one of his greatest songs, is a socialist anthem for human rationality. In the aftermath of 9/11, two decades distant from his slaying, that song was blacklisted from all commercial radio stations, due to its content. That is the staying power of art. One quality that must be admired in Lennon, was his ability to see his mistakes, his missteps; and then take corrective action before they became serious character flaws. One example would be his experimentalism with psychedelia which seemed promising around the Revolver/ Sgt. Peppers period and reached its peak with “Strawberry Fields Forever.”John Lennon, the leader of this style, was the one who pulled the Beatles out of it; allowing the band to redefine itself again with the White Album, Let it Be and Abbey Road. 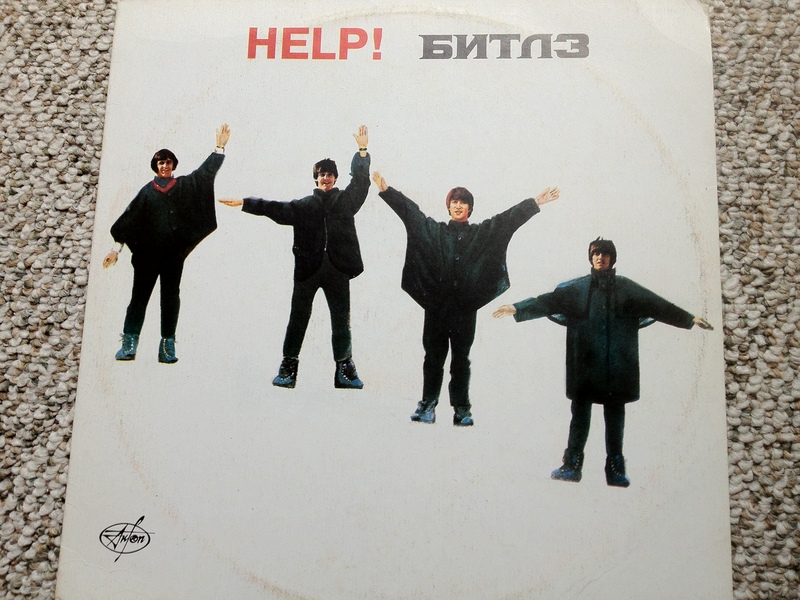 Today psychedelia is considered a relic of the 1960’s, and those last Beatles records are acknowledged classics, largely due to Lennon’s leadership. The same pattern repeats itself in his dabbling with eastern mysticism/TM and his naïve bed-in approach to protest imperialist war. John Lennon was a restless spirit searching for answers, and often seemingly boxed himself in; but like any gifted magician, managed to extricate himself while becoming wiser in the process. The rebuilding process he repeatedly went through, was a painful period of self-honesty that allowed personal growth and renewal. This allowed his music to remain fresh, while many of his contemporaries stagnated, and is the mark of an ever-improving creative genius. It is the primary reason his life is still a standard for all other artists.